It's that time of year again, Echo is going through the molting process. 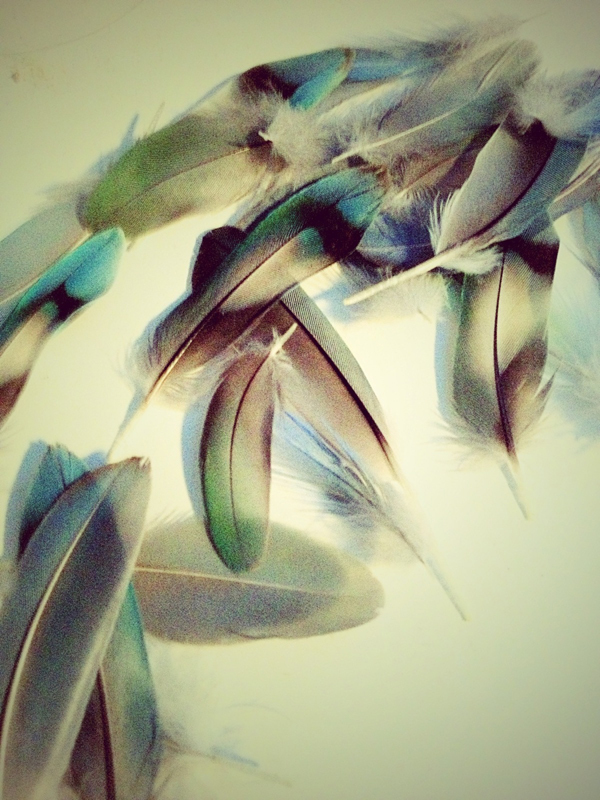 So my feather collection is starting to grow. With the exception of the little fluff feathers that I get all over the place, I love it when he molts, he's such a pretty bird I love his feathers. I found out, that no one needs to worry about me missing anything this weekend, it's been postponed.